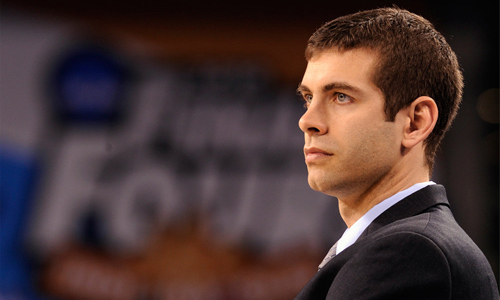 After letting Doc Rivers go to the Los Angeles Clippers, the Boston Celtics have handed the reigns over to Butler head coach Brad Stevens. Stevens, 36, guided Butler to two consecutive national championship games against Duke and Connecticut, losing both. He never won fewer than 22 games during his tenure at Butler and helped the small Indiana school gain national notoriety. 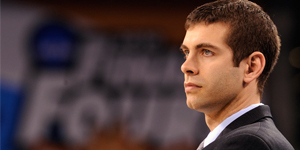 Stevens was considered a heavy favorite to take over the UCLA head coaching position earlier this year after the Bruins dismissed Ben Howland, but ultimately decided to return to Butler. Stevens will become the 17th head coach in Celtics history, and will be looked upon to help rebuild a team that not only lost Rivers, but also lost Paul Pierce and Kevin Garnett in a trade to the Brooklyn Nets. Stevens will be introduced at a news conference at 11am on Friday. Information from celtics.com was used in this article.